Find out why Peterborough drivers trust us for their auto repair and maintenance needs. 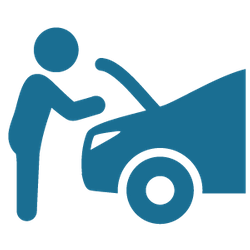 Is your vehicle in need of repairs? Bring it to John's Auto Service & Repair for personalized, reliable auto repair and maintenance services. Our experienced team of mechanics service all domestic and import model cars and trucks, providing a wide range of auto services. At John’s Auto Service, you can expect good old fashioned customer care from our friendly and helpful staff. From repairs to safety inspections to oil changes in Peterborough, hundreds of local drivers have been depending on us for years for to keep their family cars and trucks running at peak performance. Before buying a pre-owned vehicle, make sure you're not getting stuck with a lemon by bringing it to us for a pre-purchase vehicle inspection. As a Licensed Ontario Motor Vehicle Inspection Station, our registered and certified mechanics will make sure that you know about any potential problems with the car or truck before you buy it, giving you the opportunity to negotiate on the price or walk away from the sale. You'll also have peace of mind knowing that an expert has thoroughly examined the vehicle and has either informed you of specific issues or has given the vehicle a stamp of approval. For more information or to schedule a service appointment for your car or truck, call our shop today. We are located right across from the Costco on The Parkway. Let us inspect your car so we can find and fix minor issues before they become big problems.